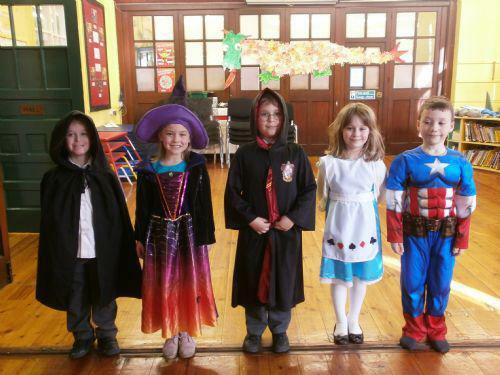 All the children in school dressed up as their favourite book character today. The children shared their favourite books and talked about the different characters. 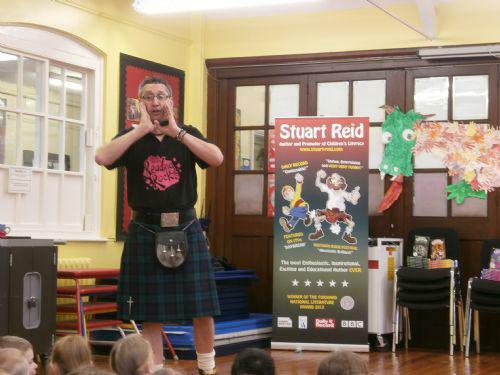 The author Stuart Reid did an assembly with the whole school where he talked about his life as an author and how he visits book festivals for ideas. He told the children to use what you know to write books. He always uses his own experiences and observations to inspire his writing. The author did a workshop with the Year 2 children on how to write a book. A good opener with suspense will get a reader excited about reading your book. Think about the setting, the plot and characters too.